Home » Uncategorized » Adam Vance’s “Artifice” is LIVE! Only .99! Yeah, it feels good. Damn all if I know how to make it sell, but, I’m going to let it take its course for now… Here’s the post I’m flogging it with. Don’t forget you can support liberal radical secular humanist science fiction by pledging to support Adam at https://www.patreon.com/AdamVance! This is a science fiction serial about what the colonization of other worlds might, and should, look like. It’s a post-abundance world, in which resources are scarce – no giant battleships or clomp-clomping mecha-soldiers, because those are, well, wasteful. It’s a look at war the way it’ll look tomorrow, not yesterday – wars fought less with humans and more with technology…you know, the way it looks today. It’s the product of my research into counterinsurgency doctrine, guerrilla warfare, the use (and misuse) of Special Forces, and artificial intelligence. Oh, yeah. And there’s lots of action, too. It’s a tough galaxy out there. 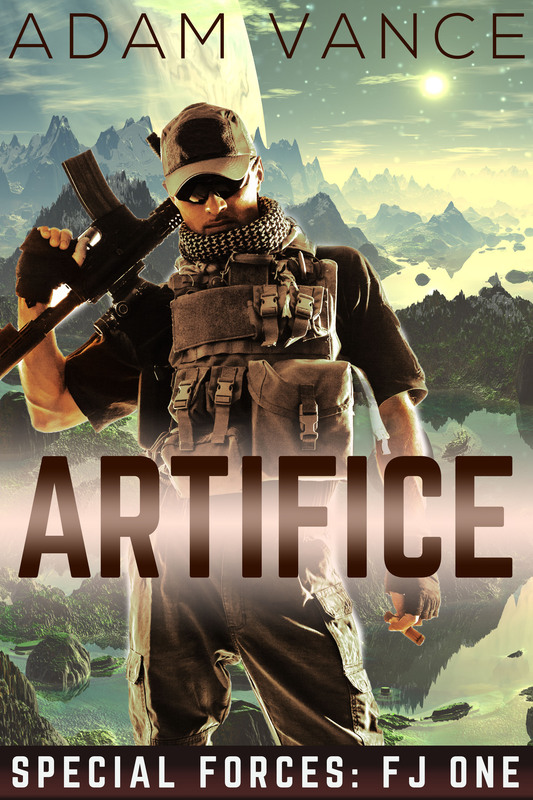 I’ve published two episodes so far, “Scarcity” and now “Artifice.” I’m definitely writing a total of five in the series, and possibly a prequel if the whole thing flies.